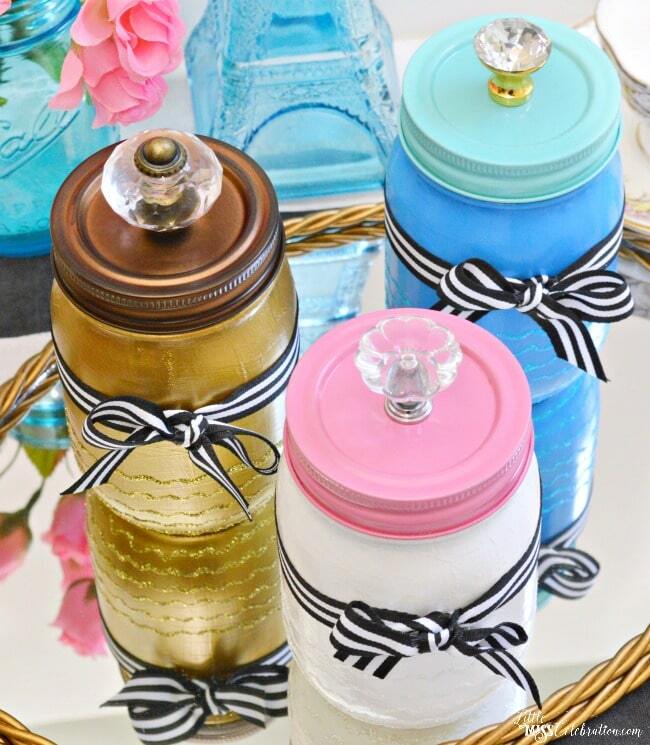 Make these easy, Paint & Sparkle Mason Vanity Jars to give Mom or any special lady pretty places to stash their baubles or beauty supplies! 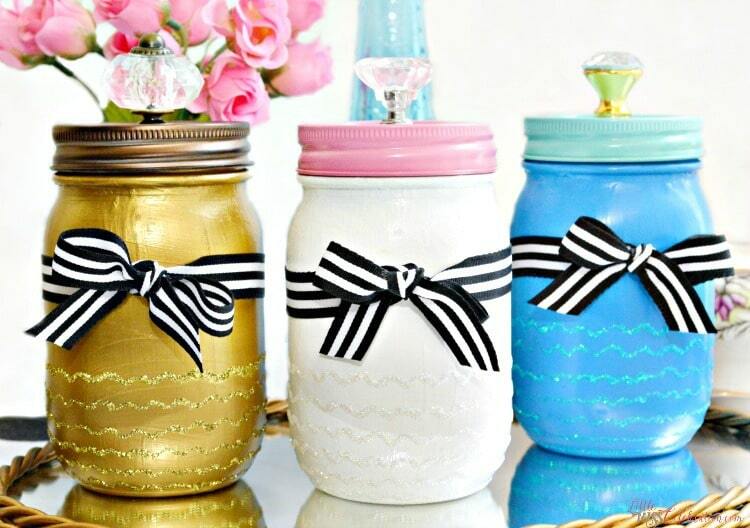 Pint-sized Mason jars get a few coats of paint, some sparkle from glitter glue and finished with ribbon. Top them off with stunning, ready-made lids from Michaels that add a glamorous, jewelry-like touch! Hi PinkWhen friends, it’s Cindy from Little Miss Celebration. Mother’s Day is around the corner! My Mom loves handmade gifts. Today, I’m sharing an easy project that makes a great gift for Mom – Paint & Sparkle Mason Vanity Jars. Jazz up her vanity with these beautiful jars, perfect to store cotton balls, brushes, small beauty products or whatever she likes to keep close at hand. If you’ve never painted glass before, it’s really very easy! First, wipe the entire outer surface of the jar with a paper towel saturated with isopropyl alcohol and let dry. Use a light touch with the paintbrush to completely paint the outer surface of the jar. Don’t worry if the first coat doesn’t look great! Add 2-3 light coats of paint, until you have the coverage you want, letting the paint dry between coats. 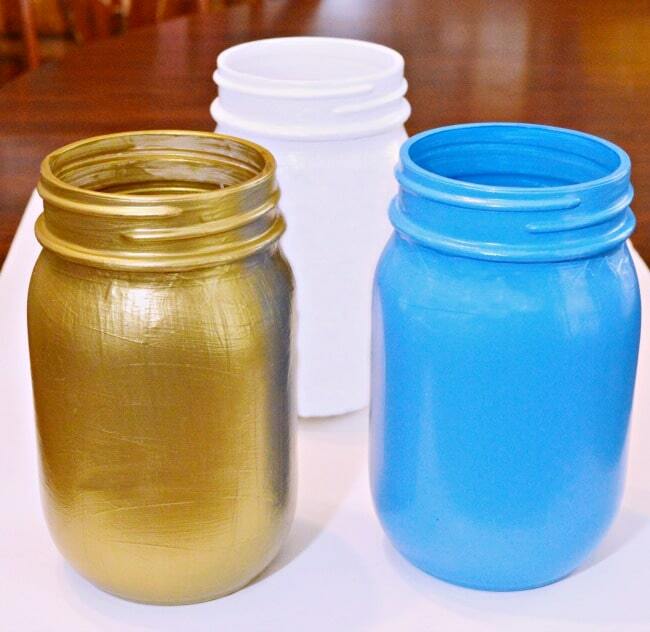 Once you are finished painting, it’s time to bake the jars to make the paint permanent. 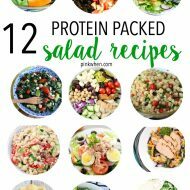 Place the jars on a cookie sheet into a cold oven. Turn the oven to 350 degrees and bake for 30 minutes. 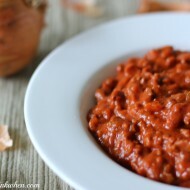 Turn off the oven and let the jars cool completely in the oven. Now, your jars are permanently painted! Now, to add some sparkle! 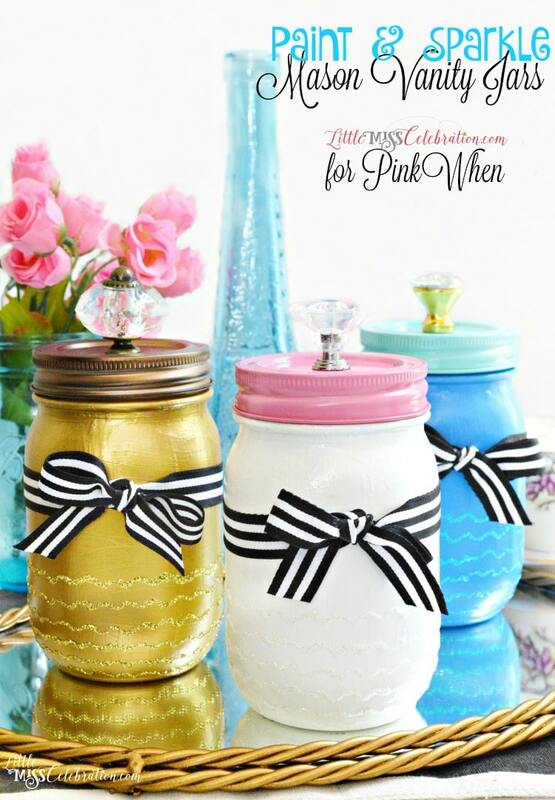 Turn the jars upside down and use Stickles glitter glue to add swirly lines around the jars. Add as much or little sparkle as you like! Let the glitter glue dry completely. 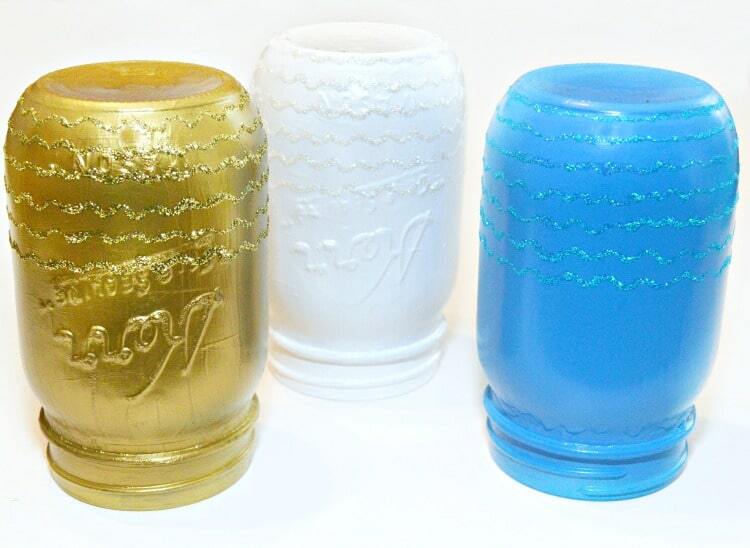 I painted three jars in gold, blue and white, and used matching Stickles glitter glue on each jar. 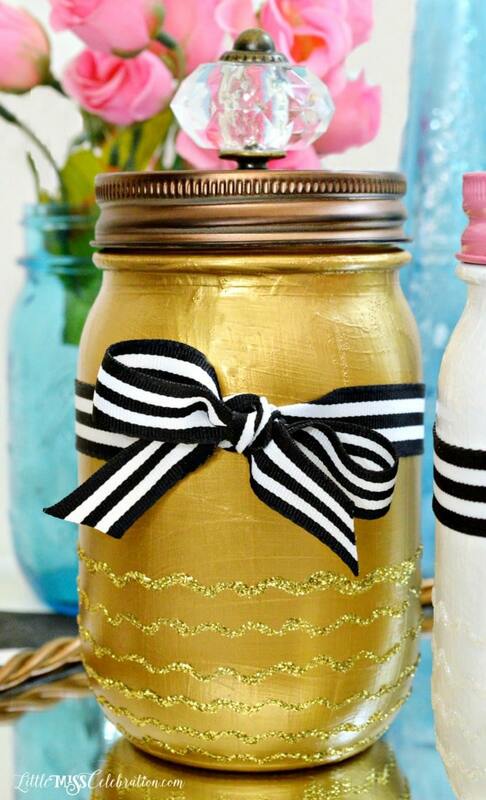 To unify the jars, I used a black and white striped ribbon tied around the middle of the jar into a bow. Add the gorgeous lids and your jars are done! My Mom is still ALL about her beauty products and I know she’ll love these! These can make a great gift for our girlfriends, daughters and of course, don’t you think we also need a set for ourselves?? 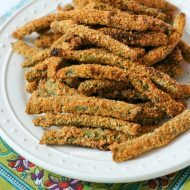 Here are a few other ideas to inspire you to make something special for Mom! You might like these DIY Rustic Succulent Pots. Thanks so much for letting me share this project with you today. Wishing all the Moms a happy, wonderful Mother’s Day and hope you enjoy all the beauty of spring!